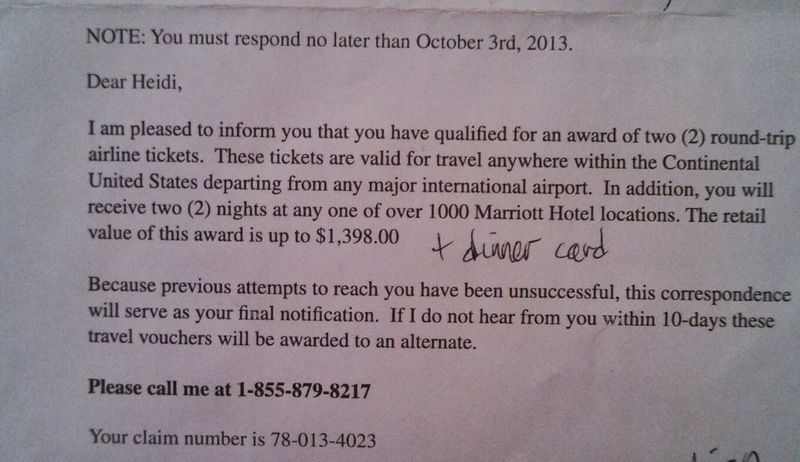 I just wanted to give you a heads-up regarding a travel scam I was lucky enough to not get bitten by. I got a letter in the mail from Dream Destinations. 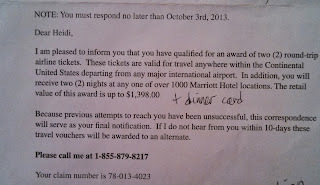 I was the recipient of two round-trip airline tickets anywhere in continental USA, and two nights stay at any of over a 1000 Marriott Hotels. I called the number to check it out (before they gave my tickets to some other more worthy person). The super nice guy set up our meeting with their sales-pitch team to learn about "Dream Destinations". We figured we could sit through just about anything for a $1,400.00, no obligation package. I Googled Dream Destination before going. Nothing notable came up. It seemed to be a travel agency. I like to travel, so I was curious to see what they had to offer. We arrived to a hyped up sales team. 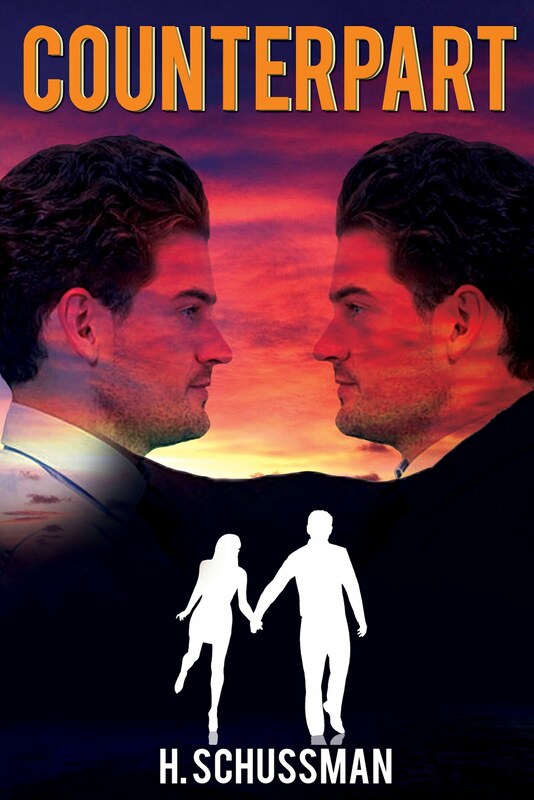 Got the nice guy who loves to travel first, followed by the sweet-business looking youngster, then up to the video room. 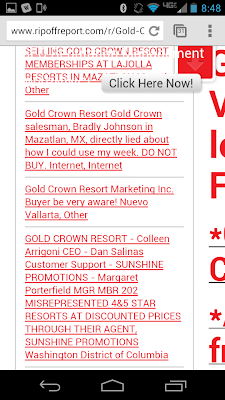 Joe and I were highly entertained by the salesman as he attempted to sell us a membership to a company called Gold Crown Resort. He gave us a line of BS a mile long about how lucky we were to be there. To be selected (based on our demographics, no doubt) for this GREAT deal. We could stay at LOTS of places way cheaper than ANYONE else. They could do better than Expedia, Travelocity, etc. All we had to do was write a check for $12,000.00! That day! And there's more . . . they would GUARANTEE the low prices for . . . two hundred years!!! It was a legacy membership, to be handed down to our children (which we don't have). We felt so lucky that we could buy what amounts to hot air for 12 grand, plus they have a $200.00 a year membership fee, which they would waive for us that day only! Wow! Downstairs we went to finish our closing pitch. The main guy went with the other couple who was chomping at the bit to sign up. We got the younger dude with tattoos. We said we weren’t interested. 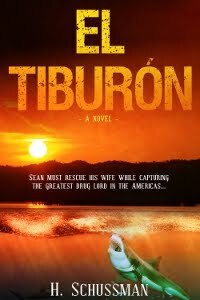 He dropped the price, and dropped the price, even more until it was 2 grand without the yearly dues. We could pay half now, half later. Hmmm, how about No. 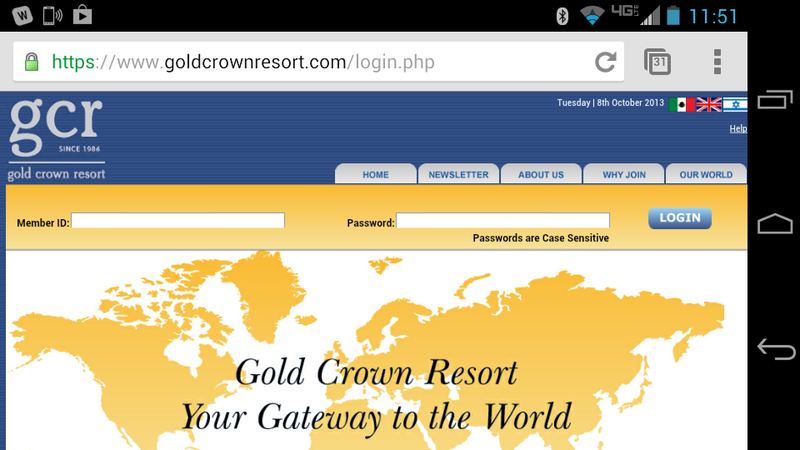 While he was describing the deal, I pulled out my Smartphone and Googled "Gold Crown Resort". 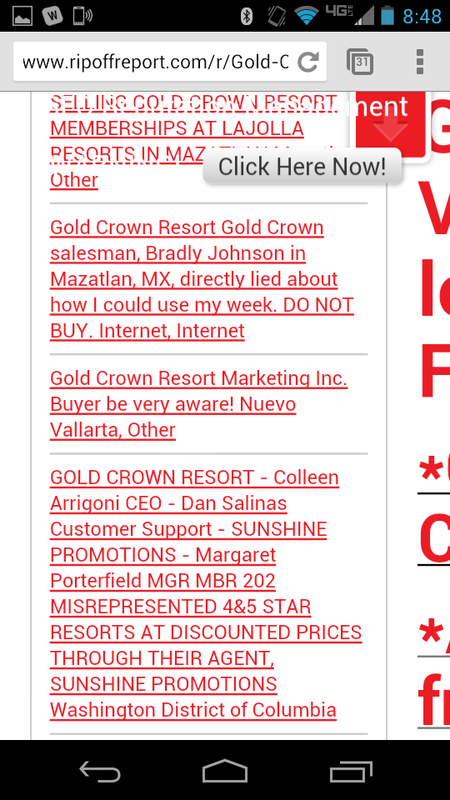 It took me straight to Ripoffreport.com, which didn’t have much good to say about them. The sales guy nervously pointed out that some people confuse the names, so I handed him the phone and said, “Is this your company?” He wasn’t sure because he’s new J He went and asked and came back saying yes. Well, we finally got our ticket package. No tickets, or vouchers, but a brochure with an address to mail in our request for tickets. All we had to do was send them $100.00 and two time frames we’d like to travel in. They would see which worked best for them and let us know. 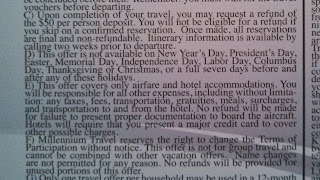 We couldn’t choose any dates within 15 days of a holiday (including Columbus day, and labor day). 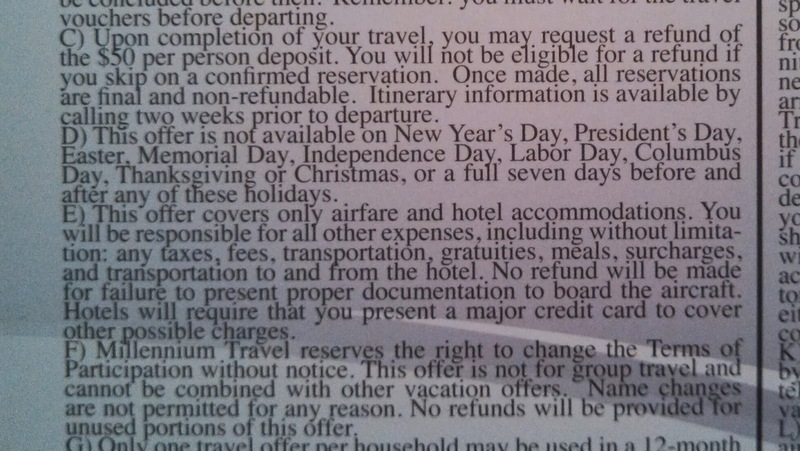 They would send us our tickets 15 days prior to departure! Hilarious and a HUGE waste of our time. Like I’m actually going to send them a 100 bucks. Don’t waste your time with Gold Crown Resort, or Dream Destination. It’s not even worth the sales pitch. You are so welcome :) I'm glad you didn't waste a perfectly good Saturday.